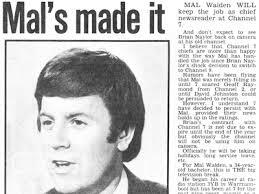 After a stellar 42-year career as one of Melbourne’s most respected newsreaders, Mal Walden will present the news for the final time next week on Wednesday, December 4th. Yes, he’s finally relinquishing the Network Ten news chair for a life of travelling, writing and spending time with family and friends. His departure from our screens marks the end of an era. But unlike most, whose exit from the industry is usually abrupt, Mal has been afforded a well-deserved, gradual parting of ways – kind of like two lovers agreeing to take separate holidays instead of enduring an acrimonious divorce. But Ten made him an offer he couldn’t refuse. They asked him to stay for one more year working just four days a week for the first six months, take a long mid-year break, then return and only do three days a week. How could he say no? 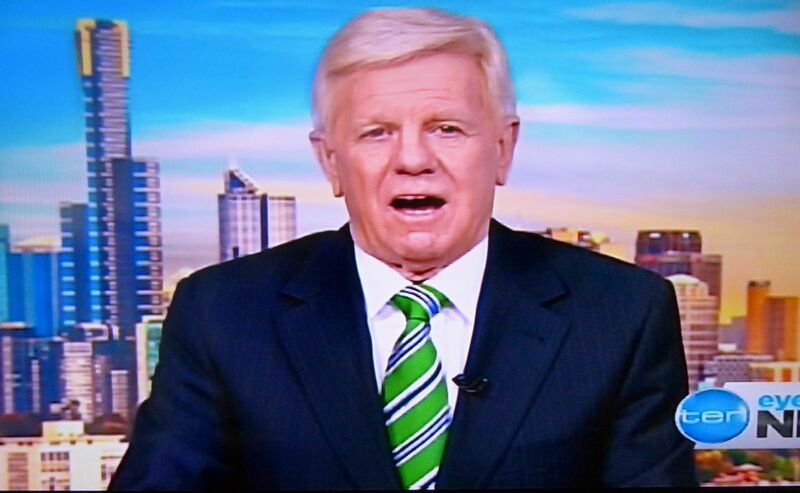 For those who don’t know, former sports presenter Stephen Quartermain is set to replace Mal when he leaves and has already been filling in on Mal’s days off. I’m going to write up the rest of this interview in Q & A format, because Mal and I go back a long way and I like how the conversation between us still flows easily. 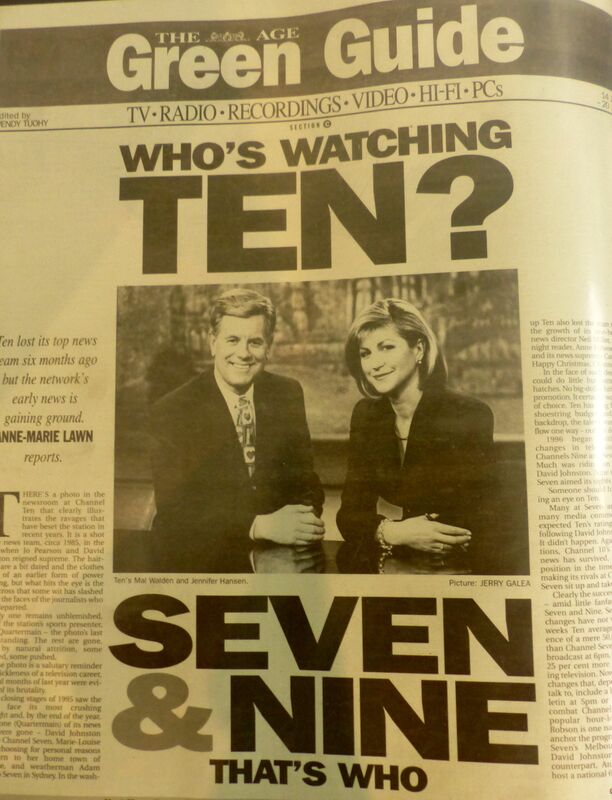 We read the news together for more than ten years, becoming Australia’s longest serving news duo. JEN: So with more time on your hands during the year, what have you been up to? JEN: With only a few nights left to go, how are you feeling now? MAL: I’m feeling apprehensive. I’m feeling nervous. I just want to get through that final night. JEN: Will you be able to say a ‘proper’ goodbye? Has it been discussed? JEN: Is that the longest of any newsreader in Australia? MAL: No, it’s the longest in Melbourne. Brian Henderson has about three or four more years on me. JEN: Was it ever a competitive thing for you, to be the longest-serving reader? 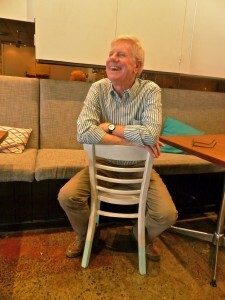 MAL: No, because I would have been in my late seventies by the time I reached Brian Henderson’s record. I would have been too old and I don’t want to do that. JEN: How old are you? MAL: There are three biogs out there. One has me at 67, one 68 and one at 69. 69 is the closest. JEN: What will you do immediately after the bulletin ends? MAL: I’ll go back to the newsroom. The staff will be there and we’ll have drinks. JEN: French champagne, I hope! MAL: No, I don’t think so! We only had French once and that was years ago, when we were winning the ratings. Remember? JEN: And what stands out as your career highlight? Apart from reading with me? MAL: Other than reading with you…(laughter) …the 1970s was the decade that was really the most defining decade of my life. 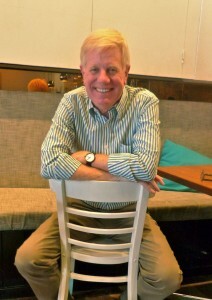 I’d come back from overseas, I’d been in radio up till that stage, I approached Channel Seven for a job and an old boss of mine – Ron Casey, who I knew from radio days – said I can’t give you a job in the news department but come on as a booth announcer, and that’ll give you a foot in the door. Well, that very first night – June 6th, 1970 – at about a quarter to six – the late night newsreader was suddenly taken ill and they asked me to read the news. And I’ve been reading ever since. JEN: Had you ever been in front of a camera? MAL: Yes, I had. In the mid-60s, I read the news in Tasmania. JEN: What else made the 70s such a standout decade for you? 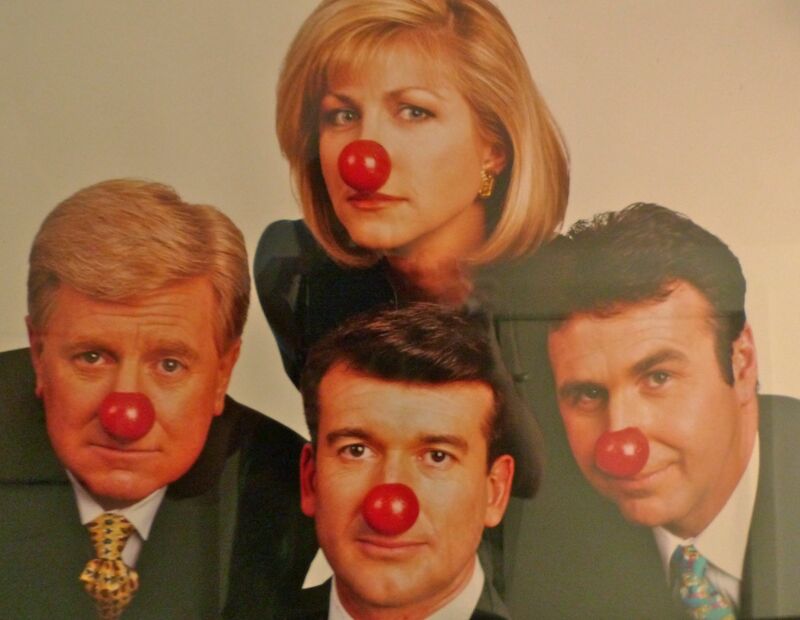 MAL: It was defining for me because I got into television news. Two years after I read my first bulletin, I took a cadetship and then Cyclone Tracey hit and they sent me up to Darwin as a reporter. Because I got the first story out, I was then promoted to being a journalist. 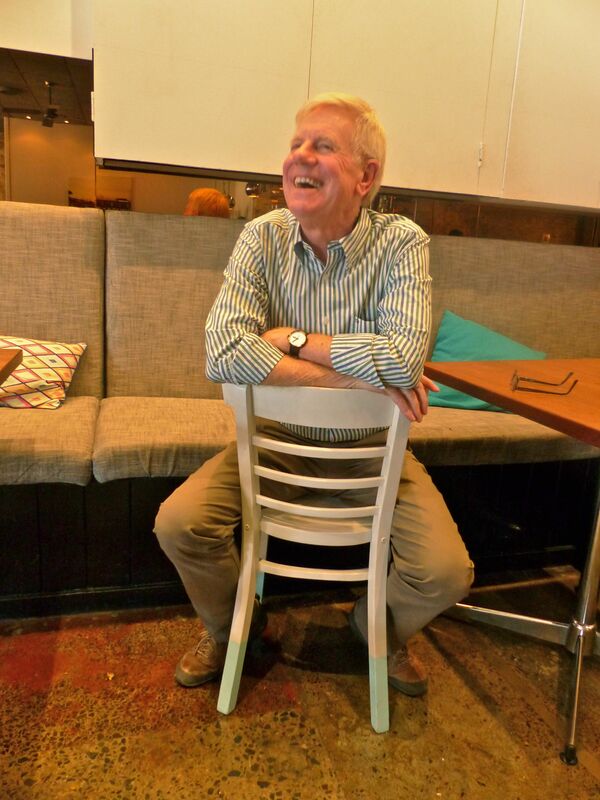 Then there was Balibo in East Timor and we were all vying to go there, so, but for the grace of God… Greg Shakleton went and that was sadly, his end. JEN: How did that affect the newsroom? 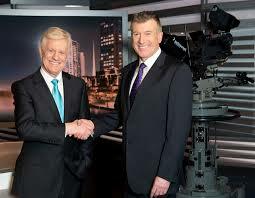 MAL: David Johnston was quite upset by the whole thing and gave television away, as an indirect result of Balibo. He just got so pissed off with what it stood for and all the cover-ups. David had an argument with the news director at the time one day, stormed out and never came back. 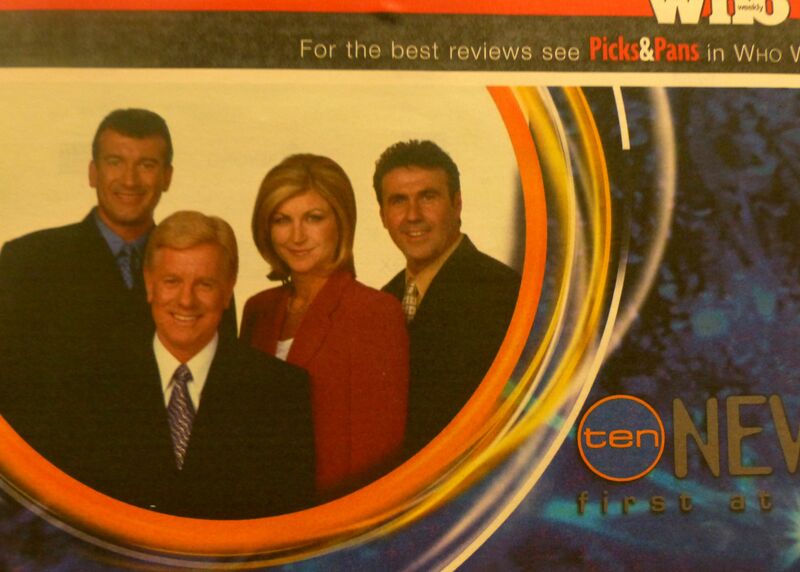 They helped David establish a newsagency business, so when he went I became elevated to the number two newsreader spot. Before that it was Brian Naylor, then David and I was number three. JEN: Now fast-forward to the present. What do you think about the impact of social media on the reporting of news? MAL: I think it’s very dangerous actually. A recent example was the marathon bombing in Boston. They were all tweeting that the bomber was a Puerto Rican and was being charged, and the main media picked it up. Even 3AW ran with it, without any fact checking. There are no checks or balances with social media. But it’s only in the last few years when it’s come to the fore. I mean, it can have its benefits, like in the case of the murder of Jill Meagher, where everyone rallied, so it can be useful. JEN: But I guess you’ve seen a lot of changes over the years. MAL: Oh yes. 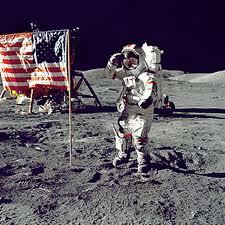 I remember in ’69 when man landed on the moon, the world stood in awe as Armstrong stood on the moon. But I was more impressed with President Nixon picking up the phone in the Whitehouse and talking to Armstrong on the phone. To me, that was far more dramatic than the man standing on the moon. That was something we had never seen. So suddenly satellites closed that gap between radio being first and television was on an even playing field. It took a couple of years for satellites to be used locally, but that was the first indication I had that satellites were going to revolutionise news. And they did. 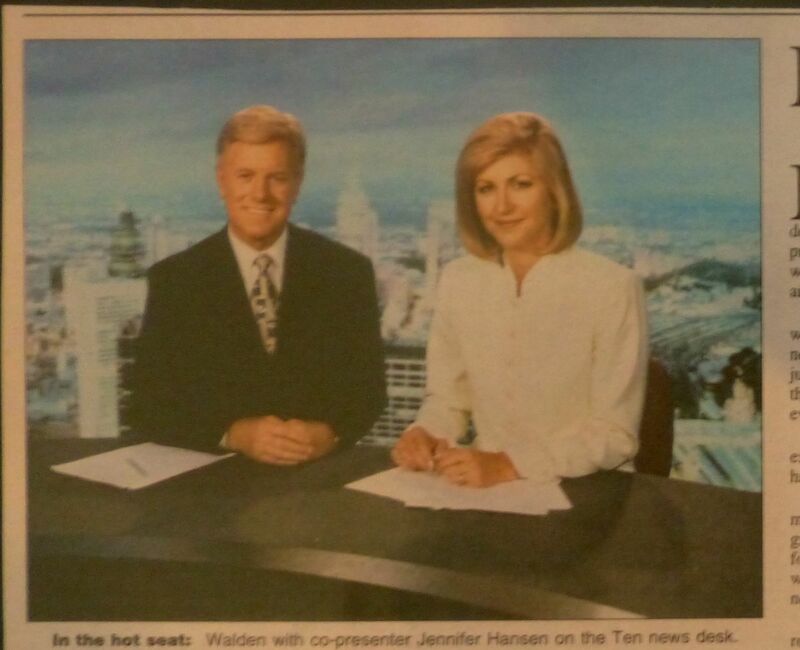 JEN: When did you first get promoted to main newsreader at Seven? JEN: And they hadn’t even asked you? MAL: No, and when I walked into the newsroom, all I could hear was people saying things like ‘Well, that’s the end of the ratings,’ which made me feel terribly insecure. And I didn’t even want the job anyway. I walked in Casey’s office and he congratulated me and I told him I didn’t want the job. So he picked up the phone and called in the finance manager. He explained that I’d receive $60,000 a year, which sounded great, but I still said, ‘I can’t take it, it’s not what I want to do’. Then they brought in the promotions guy who bought in a picture of a brand new RX7. He put his arm around my shoulders and said, ‘Mal, take this job and the car is yours.’ And I’m thinking of my clapped out car out the front and the $60,000 a year… So I said, ‘I’ll do a deal – allow me to read the news and keep on reporting too.’ Casey then suggested I not do general news, but do special reports. So we did that. 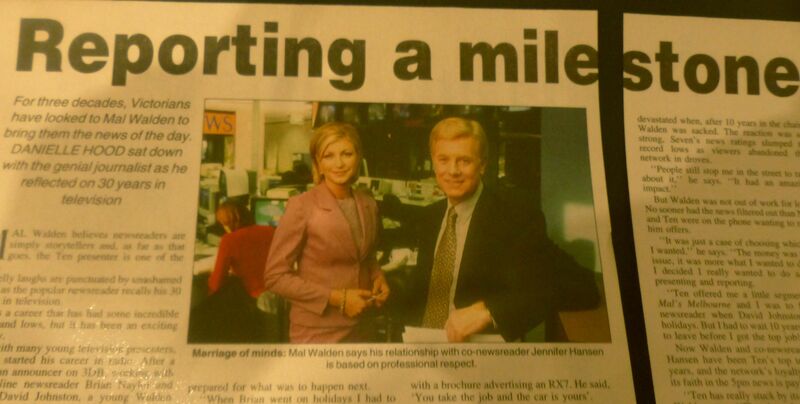 And they promoted me as the only newsreader who was a journalist, to give me credibility. And it worked. I never looked back. JEN: Now, after forty-two years of news reading being your life, it must be hard to imagine what you’re going to do with yourself? MAL: We’re going to take a holiday. Pauline’s got the bags packed already. She’s probably at the airport waiting for me now, actually! MAL: I’ve got nothing planned whatsoever. JEN: Weren’t you writing a book? MAL: Yes, I’ve finished my book. It’s biographical. I’ve diarised every day of my life since June, 1961. I have fifty-two diaries at home. Every day there’s an article about a news story, a conversation I’ve had, interwoven with my personal life, from radio right through to this year. And of all the chapters, the last two are the most telling. MAL: About what’s been happening in the last few years at Ten. It’s probably a bit close to the bone. They’re pulling out of the slump now. But that bit will never get to print. JEN: Will you still have an association with Ten? MAL: That’s on the cards. They’ve asked me to stay on for another twelve months as ‘ambassador’. JEN: How do you feel about Stephen being your replacement? MAL: I can’t think of anyone more suitable. He has skills I’ve never had and they’ll channel those into promoting him. JEN: Looking back, have you any regrets? MAL: Not one! Not one at all. I’ve never had to make any major decisions in my life. They’ve all been made for me. 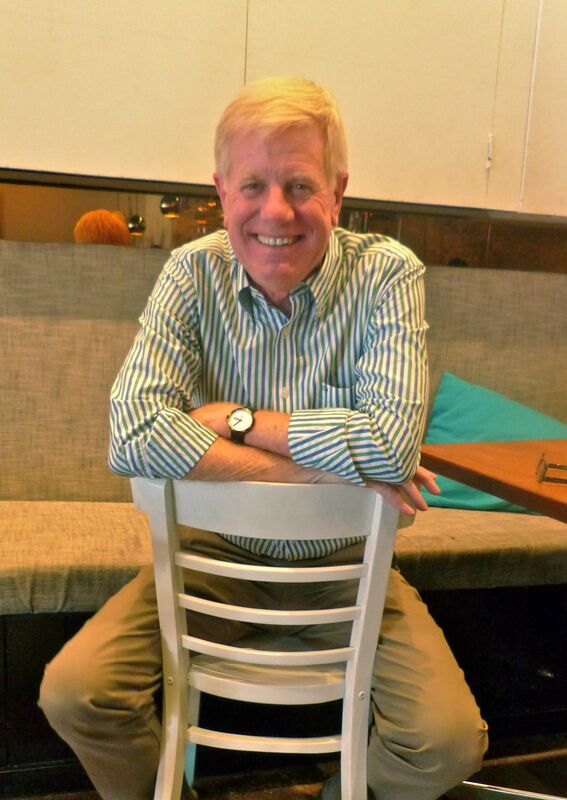 I’ve been hired, fired, promoted, demoted… The only time I ever made a decision, and it involved you, was when I was reading the weekend news at Ten. I had young kids (twins, James and Sarah) and a holiday house at Rye and Pauline said, ‘I need you at home on weekends, this is ridiculous.’ So I went and told management I needed to give up the weekend news and then you took the role, but three months later, they made the weekend news national. JEN: And I was dumped off the weekend news. MAL: So had I not made the decision, it would have been made for me. JEN: So let’s wrap this up. Just one last question. 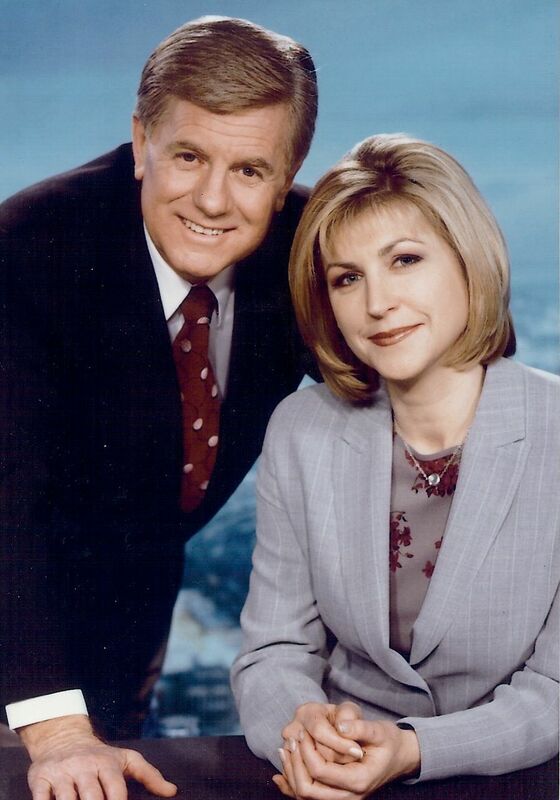 Who was your favourite female newsreader to have alongside you?